I’ve been on a major reading kick lately. For anyone that knows me, they can vouch that I’m an avid-reader by nature, normally polishing off one novel per week – on top of my school and work commitments. For the purposes of the picture, I mixed in a few other favorites. Would you believe this stack is on my nightstand at all times? So, for the last month, I’ve been tearing through these books and enjoying the smell of old binding, dried paste, and the crinkly sound of crisp pages between my fingers. I came to an odd realization, though, through my reading: with paperbacks, I read MUCH slower. When I use my Nook, I tend to get through a book in just two or three days. Reading these birthday beauties, it’s taking me over a week (minimum) to finish each one. Well, for one, carrying a paperback book around is not as easy as my Nook. I worry about the pages getting damaged, so I’m hesitant to toss my 50 year old copy of The Dharma Bums into my crowded purse. Secondly, it’s not as convenient for my multi-tasking ways. One of my favorite two-birds-with-one-stone activities is reading while on the elliptical. With my Nook, it’s as simple as turning it on, setting it in the phone cradle, and just cranking away on the machine. With a paperback, the book doesn’t sit still and I often find myself having to catch it before it falls – which is about every thirty seconds. I end up awkwardly holding the book, trying not to fall off of the cardio machine, and sweating onto the pages. Yeaaaah, not very hygienic and certainly not convenient. On the downside, I find that it is harder for me to get into a story with my Nook. There is something about the pages of a novel, the feel of crisp paper on your finger tips, that draws you in. When I’m on my Nook, if the story doesn’t immediately grab my attention, I find myself unable to keep reading. I’m more patient with a printed copy. I never made it through Stiegg Larsson’s The Girl With the Dragon Tattoo on my Nook, as the first sixty pages were banal and dragging; I lost interest quickly. However, when I got my hands on a paperback edition from a used book store, I tore through it quickly and didn’t find those first chapters nearly as draining. Was it the familiarity of reading it a second time that made it more bearable… or was it the kinetic relationship between hands and binding that made me persevere? Hmmmm. Do you have a preference between eBook or printed book? Do you find that you use both equally or that you favor one method over another? Share your thoughts in the comments section! Let’s get a discussion going! 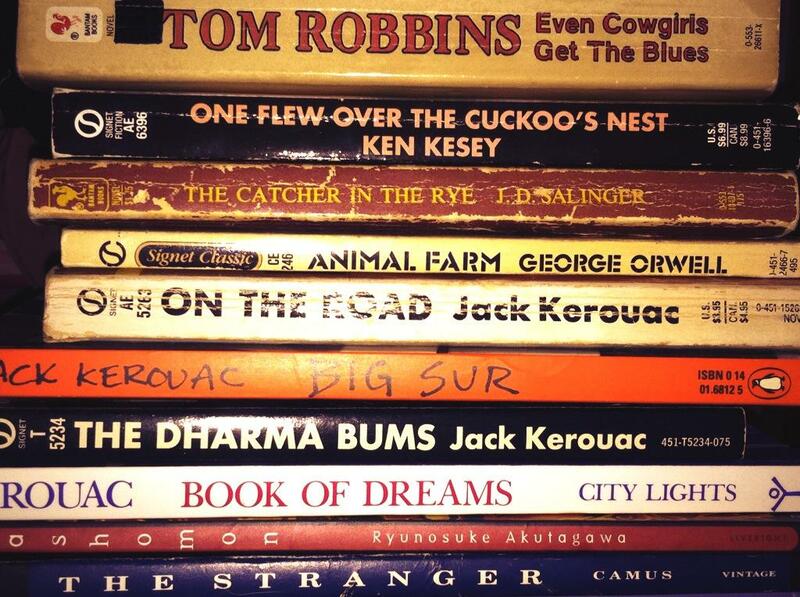 You have a nice collection of banned books going on. I’m nothing if not a rebel. Ebooks are really convenient and having a library in your wallet makes life interesting. You do lose out on the feel of a book and indeed the smell of a book and as far as I know Ebook readers do not tell the crowd around you what you are reading. A real book projects your personality in some way like a football shirt for the good and the bad of it. I still prefer Ebooks for the day to day.